The Glenmanus Go team assembled at the manse in Portrush on Saturday 24th June. Team members are: Jean Martin (Lisburn), Olivia Holland (Lisburn), Grace Kennedy (Kilraughts), Charis Wilson (Drimbolg), John McCullough (Dromore) and Philip Coulter (Carrickfergus). Joining the team are young people from the Glenamanus congregation – Anna, Scott & Esther McCollum. The team joined the congregation for a time of prayer before the morning service on the Lord’s Day. After church the congregation had lunch together in the church hall before having a time of Psalm-singing in a local care home where one of the members is a resident. Evening worship and a walk to the harbour afterwards completed the first day for the team. Monday and Tuesday were spent distributing invitation cards and planning and running the Kidorama Bible Club in the evening. The hour after lunch is spent in Bible study and prayer. The team will be providing the programme for the Friendship Group on Thursday afternoon. Glenmanus Go Team finished their work with the congregation on Thursday 29th June. 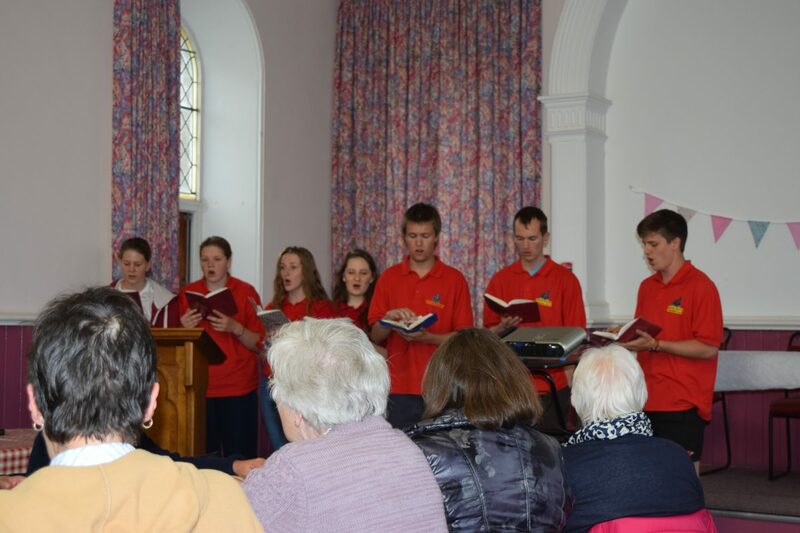 In the afternoon the team put on a programme for the Friendship Group, including a demonstration of how to make tray bakes, several musical items and a table quiz. This varied programme of entertainment was thoroughly enjoyed by the senior citizens who attended. In the evening it was Parents’ Night at the children’s Bible Club. The parents and children were all encouraged to learn the memory verse from Joshua 24:15 “as for me and my household, we will serve the LORD.” Soon after the club had finished the team said their farewells and headed homewards.